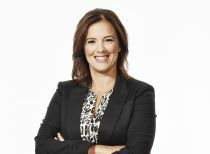 Jennifer is one of Canada’s most adored sports broadcasters and decorated athlete. She is a Three-Time Olympic Gold Medallist, and an Olympic Silver Medallist with the Canadian Women’s Hockey Team. Jennifer played an integral role on the team that was highlighted by assisting on the gold medal winning goal at the 2010 Vancouver Olympic Games. An ideal topic for all organizations. Jennifer takes the lessons she has learned in sport and shows how they are very connected to business. She also demonstrated how applicable these lessons are to all aspects of our lives. Jennifer shares her personal stories of Olympic glory, and the journey it took to get there. She has grown tremendously from her experiences and inspires those around her to strive for success. A presentation themed around the importance of our frame of mind. Jennifer gives many examples of the power of a positive attitude, and how it can influence the path that we take. We always have a choice. There are often challenges to be faced, and Jennifer demonstrates ways to deal with those challenges, and to come out of those situations stronger, and better than ever. A graduate of Harvard University, Jennifer has always valued education. She speaks about the strength of leadership and having an impact on the lives of others. She understands that teachers and educators have a huge impact on our world. She shows the knowledge, inspiration, and guidance that comes from education programs. Jennifer shares personal stories of role models, and how we can influence others in the best possible way. As part of this motivating, accessible and effective program of development workshops led by a team of qualified experts, Jennifer addresses the importance of sustainable high performance using lessons learned over her athletic career, education at Harvard and entrepreneurial experience. The complete High Performance Program includes four (4) sessions, each lasting three (3) hours, and can be custom-tailored to address varying needs. Jennifer has hosted an array of events across Canada including Gold Medal Plates, the launch of the RBC Olympians program and Nike/Hockey Canada Jersey Launch. Jennifer Botterill is an incredibly accomplished and dynamic speaker. No matter the audience, she is able to connect with listeners on a profoundly personal level by sharing personal stories, humourous moments and inspirational lessons she’s learned throughout her own journey. She has spoken before tens of thousands of young people from the We Day stage encouraging them to unleash their talents and help change the world, and at Gala dinners before Free The Children’s biggest stakeholders and corporate partners. It is has been thrilling to have Jennifer Botterill, a remarkable individual both on and off the ice, participate in We Day activities and I give her my highest recommendation. Jennifer’s ability to connect her personal experiences of effort, dedication, overcoming challenges, sharing successes, and most of all working together as a team to accomplish goals and dreams was amazingly well received by our entire Franchisee network. A testament to her acceptance and appreciation was delivered in an extended standing ovation that was our group’s way of saying“ Thanks! - Sr Vice President, M&M MEAT SHOPS INC.
Jennifer's positive energy and enthusiasm was contagious. We couldn't have asked for a better way to launch our sales meeting. Jennifer's story was a beautiful source of inspiration and national pride, which set a positive tone for our meeting. Our group appreciated the mix of video and storytelling along with the chance to view Jennifer's medals! Jennifer was great, everyone enjoyed her presentation and the videos she shared. She has helped to spark our leadership team toward a new level of effectiveness. Jennifer is one of the most positive and impactful people with whom I have ever worked. Her positive energy, engaging style, leadership insights and exceptional humility enable her to ignite sustainable performance improvements in teams. I consider Jennifer a trusted leadership advisor. Through sustainable high performance and perspective, three-­‐time Olympic Gold Medalist Jennifer Botterill has become one of Canada’s most successful athletes and the epitome of a champion. Joining Canada’s Olympic Hockey Team in 1998 at the age of 18 – its youngest member – Jennifer has gone on to win three gold medals and one silver, as well as five World Championships where she was twice named MVP. Born and raised in Winnipeg, Manitoba, Jennifer grew up in a family of high achievers: her mother, Doreen, was a two-­‐time Olympian in speed skating; her father, Cal, is a sports psychologist; and her brother, Jason, is a three-­‐time World Junior Hockey Champion. Jennifer graduated with honours from Harvard and, as a member of the university’s hockey team concurrent with her studies, she was the only two-­‐time winner of the Patty Kazmaier Award for the top player in women’s college hockey. Currently a contributing broadcaster for Rogers Sportsnet and Hometown Hockey with Ron MacLean, Jennifer is also an in-­‐demand motivational keynote speaker. Embracing the chance to connect with her audience and share some of the many lessons she has learned throughout her own pursuit of excellence, Jennifer’s message is delivered in a sincere and heartfelt way. With the belief that everyone can “Excel In Life,” she expresses the importance of being mindful in maintaining a ‘big picture’ perspective, especially in careers that require continual success with little room for recovery, from Olympic athletes to physicians. She has shared her story at numerous high profile events for top organizations across the country, including Free The Children, RBC, Coca Cola, CAA and the Government of Canada. An inspiration on and off the ice, Jennifer’s insights are invaluable and her enthusiasm for turning life’s challenges into opportunities is always golden.